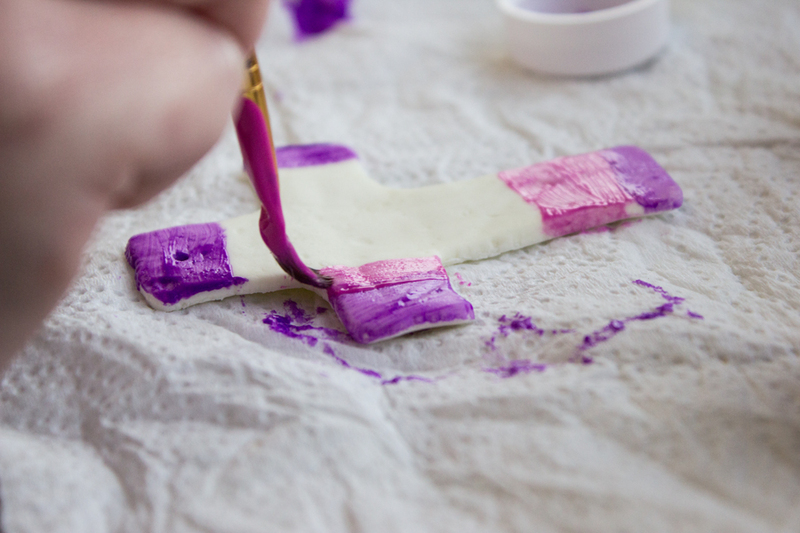 Step 1: Cut a piece of wax paper and place it onto your work surface. 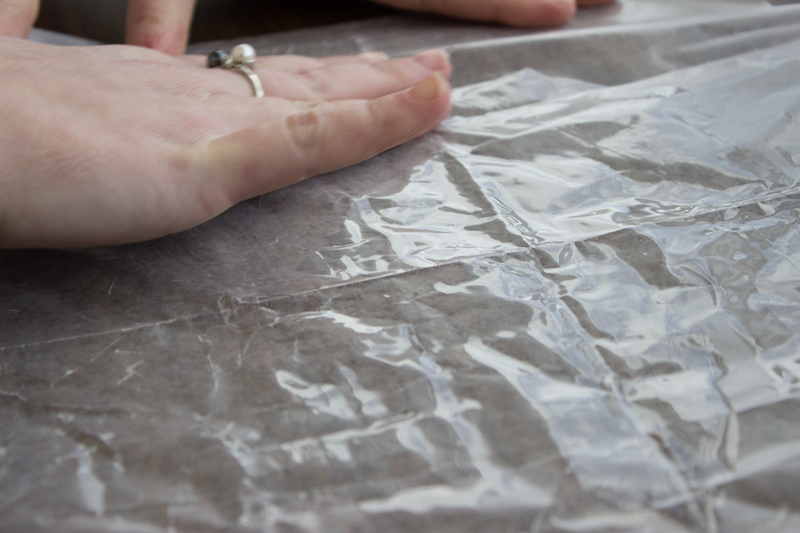 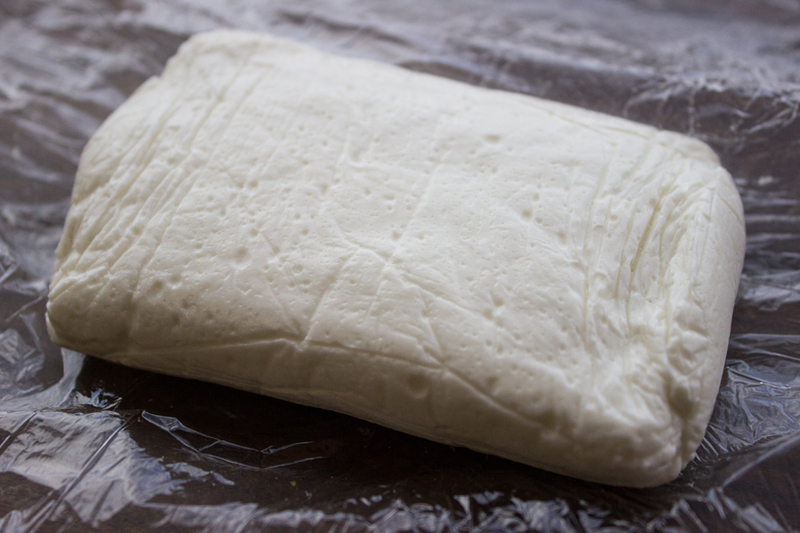 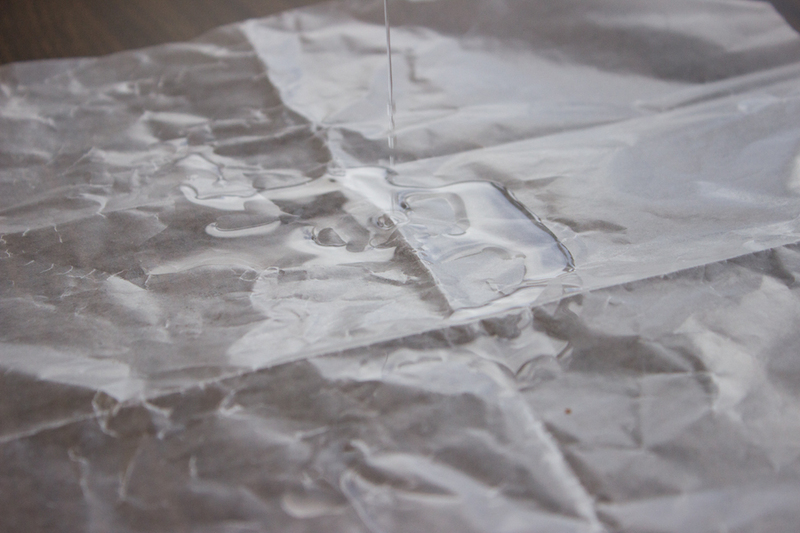 Coat the top of the wax paper with baby oil. 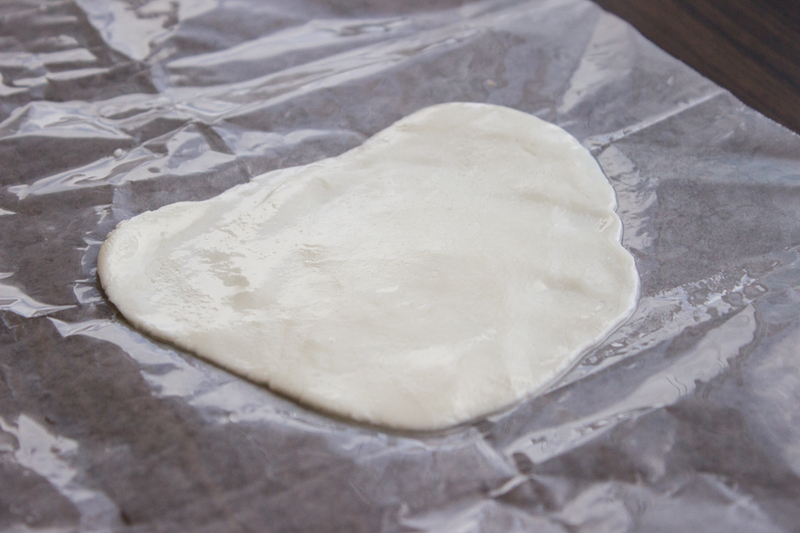 Step 2: Place cold porcelain dough on the wax paper and press the dough out with your hands (or a baby oil coated rolling pin) to a thickness of approximately 1/8 inch. 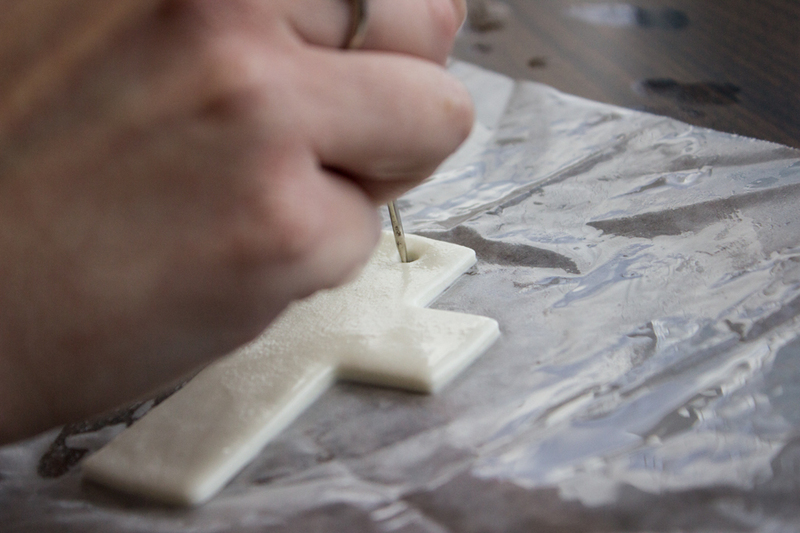 Step 4: Use a toothpick to make a hole in the top third of the cross. 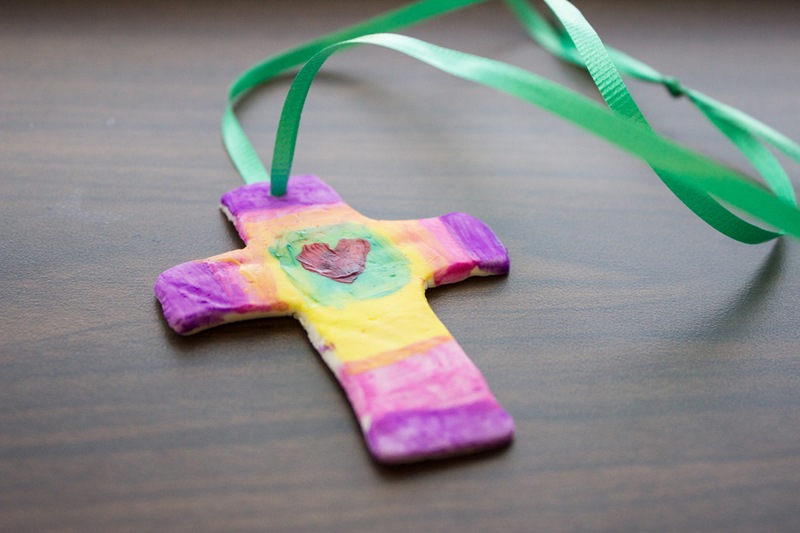 This will allow you to put the cross on a piece of string to make a necklace or ornament. 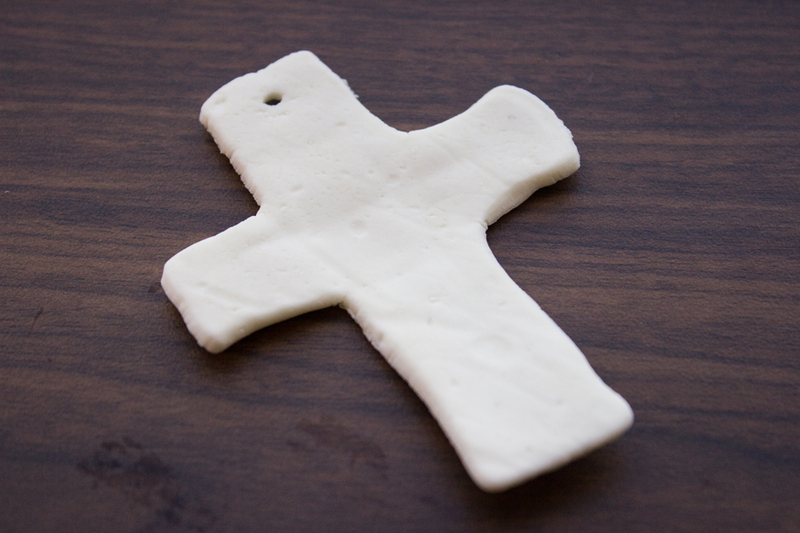 Step 5: Place the cross on a clean piece of wax paper to dry. 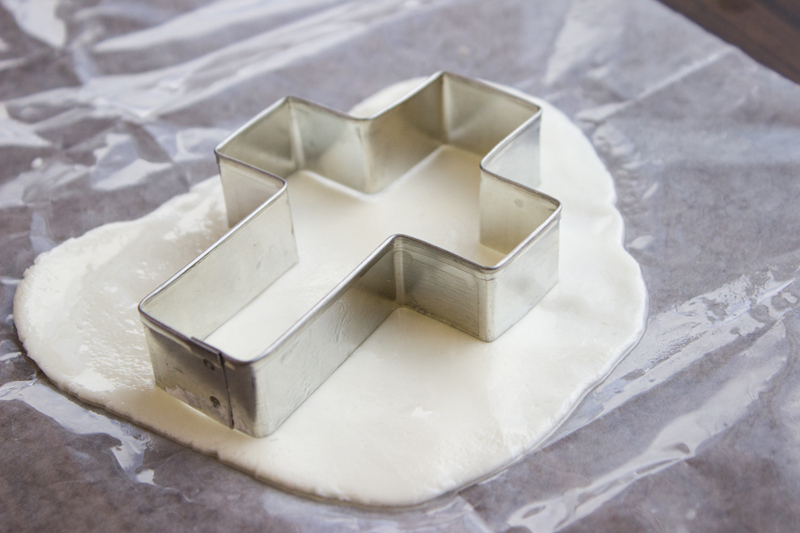 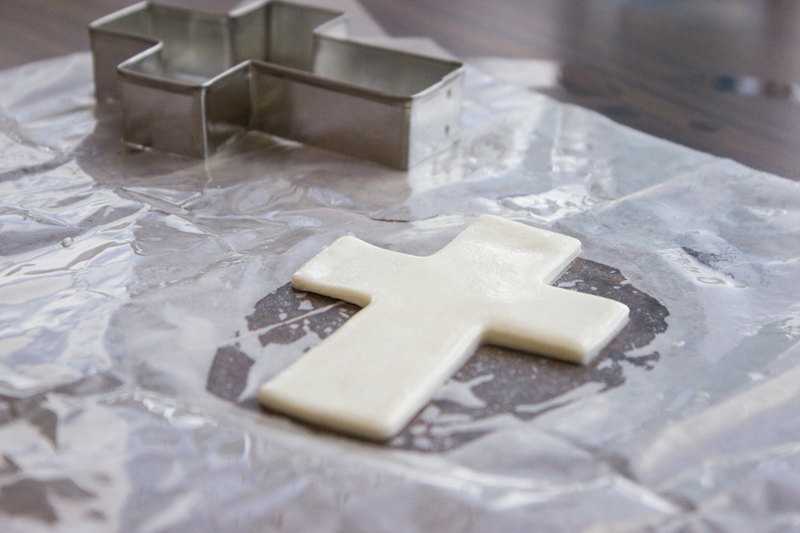 Check on the cross occasionally and flip it every few hours to help it dry evenly. 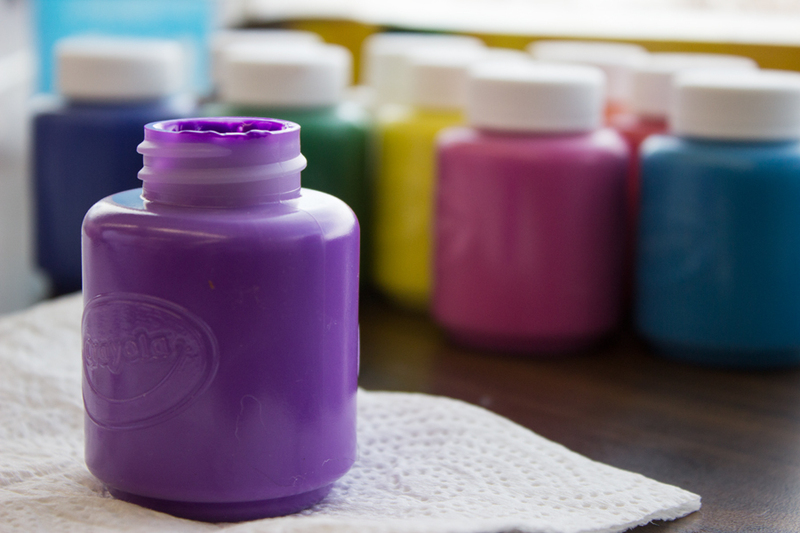 It should be dry enough to paint after 24 hours. 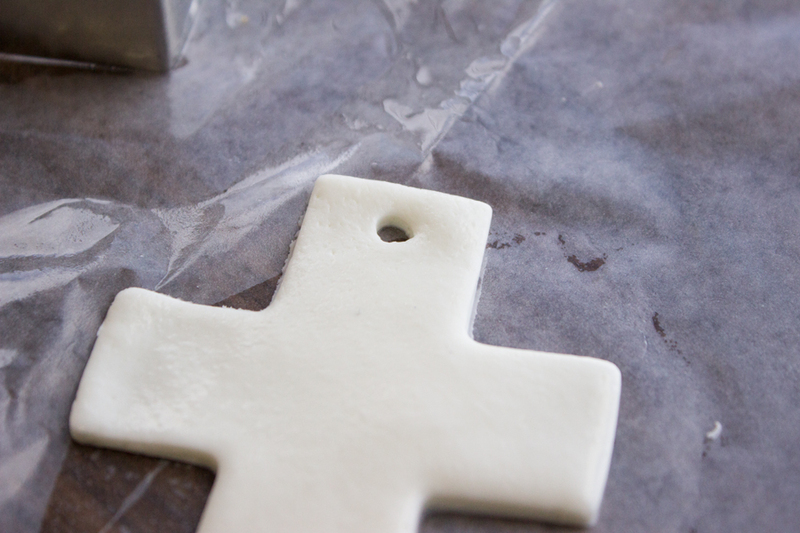 Step 6: Once the cross is dry, paint it. 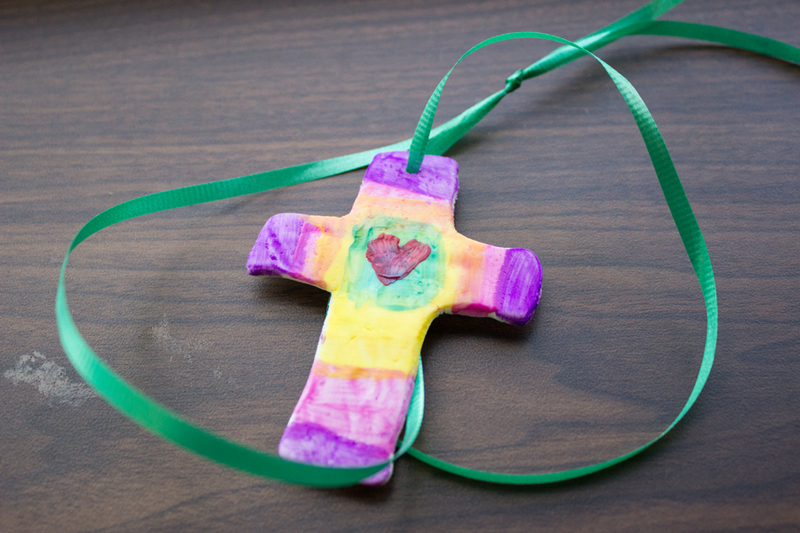 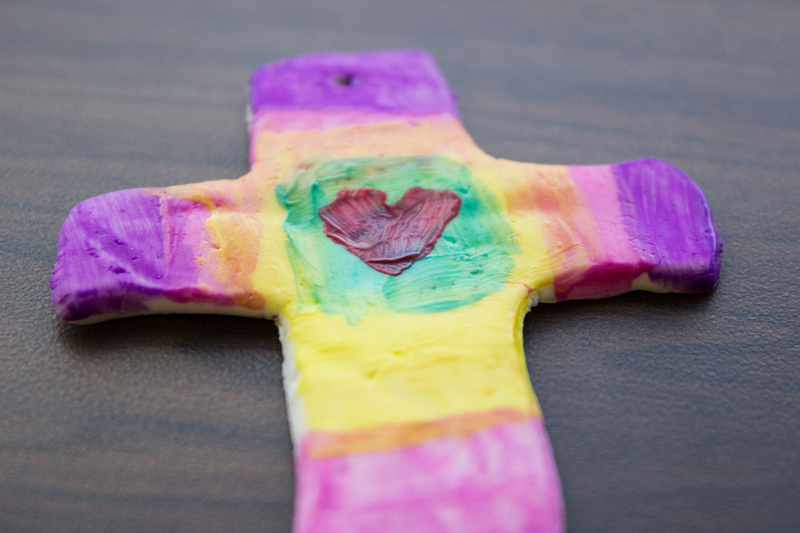 Step 7: After the paint has dried, thread the cross onto a piece of string to make a necklace or ornament. 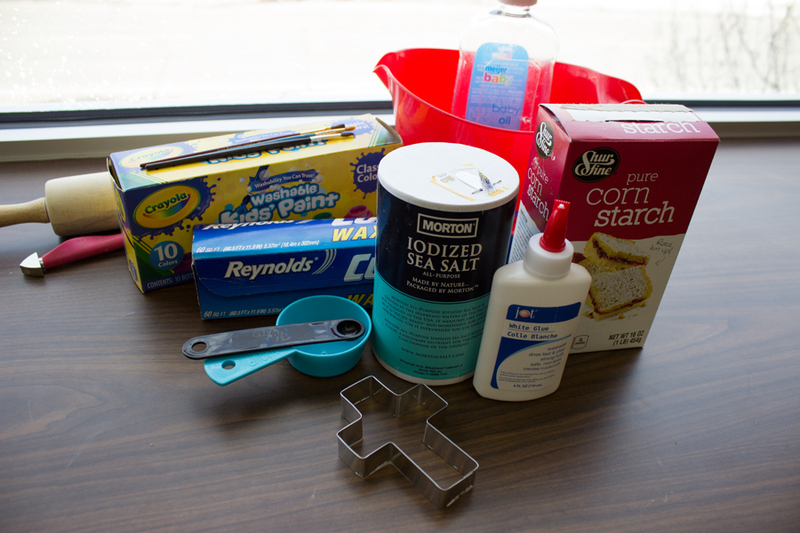 Place all ingredients into a bowl and mix together until smooth. 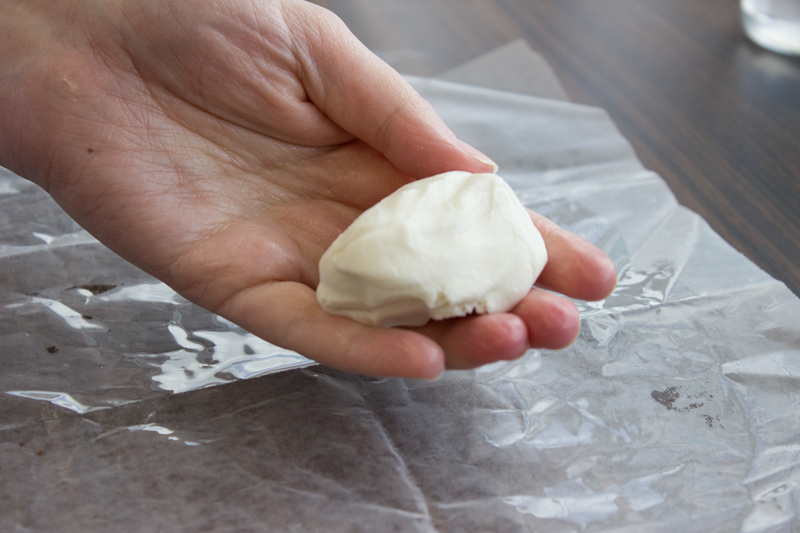 The dough is too thick and sticky to mix with a spoon, so it will need to be kneaded by hand. 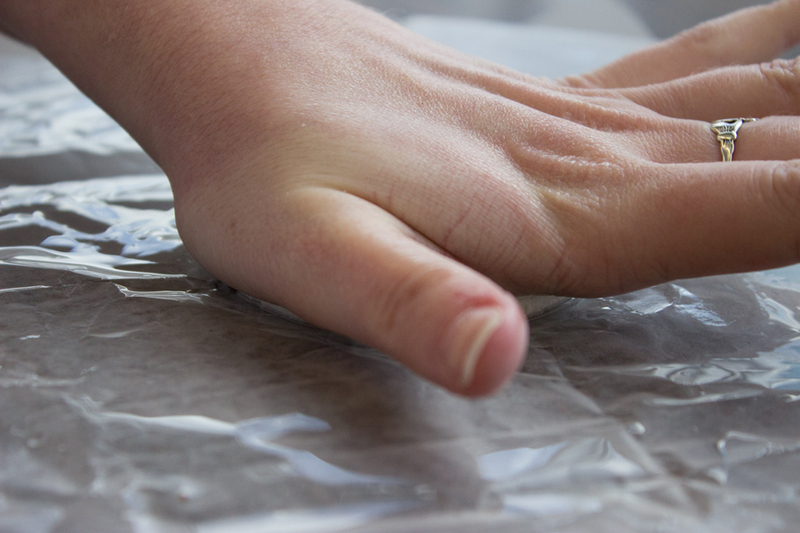 Put some baby oil on your hands to prevent them from sticking.